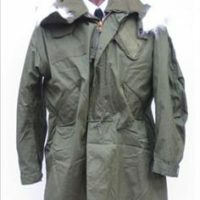 We stock a number of different Fishtail parkas; some original and some replicas. Our bestseller is our Replica M51 which we source from the US; it’s a very good copy of the original US army version made between 1951 and 1965- this being the one worn by original 60’s Mods and seen in films such as Quadrophenia. If you are after an original M51 please contact us as we sometimes have them available although they are few and far between. If you are looking for a later M65 style- generally recognisable by the fur trimmed detachable hood- these are also now difficult to come by. We have some original unissued US made ones in size medium only. A note about sizing- all of our parkas come up very big- they are a military spec. I know we usually like to stress the fitted nature of most of our stock, but it’s not the case when it comes to Parkas!